More than two years in the making, Highmark Inc. has finalized a partnership with a long list of healthcare providers, including the West Penn Allegheny Health System. Just moments after the Pennsylvania Insurance Department gave its approval to the deal, Highmark Inc. finalized its partnership with a long list of healthcare providers, including the West Penn Allegheny Health System, Jefferson Regional Medical Center and a group of West Penn physicians that will be known as the Allegheny Clinic. The deal was more than two years in the making, and Highmark Board Chairman Bob Baum said it shows all of those involved have the will and the determination to build the new integrated delivery system, dubbed the Allegheny Health Network. Along with rolling together the health insurance giant Highmark and several hospitals, the deal also brings in dental, vision and supplemental health product providers. “Allegheny Health Network will be focused on preserving healthcare choices for consumers, providing access to affordable high quality healthcare services and supporting competition and transparency in this market place,” said Highmark President and CEO William Winkenwerder. The deal includes the purchase of $604 million in WPAHS bonds at 87.5 cents on the dollar along with the $475 million that Highmark has already spent on modernizing and shoring up the faltering hospital system. The heads of the nonprofits stressed in an employee meeting Monday that the goal is to provide as many options as possible to consumers in western Pennsylvania. 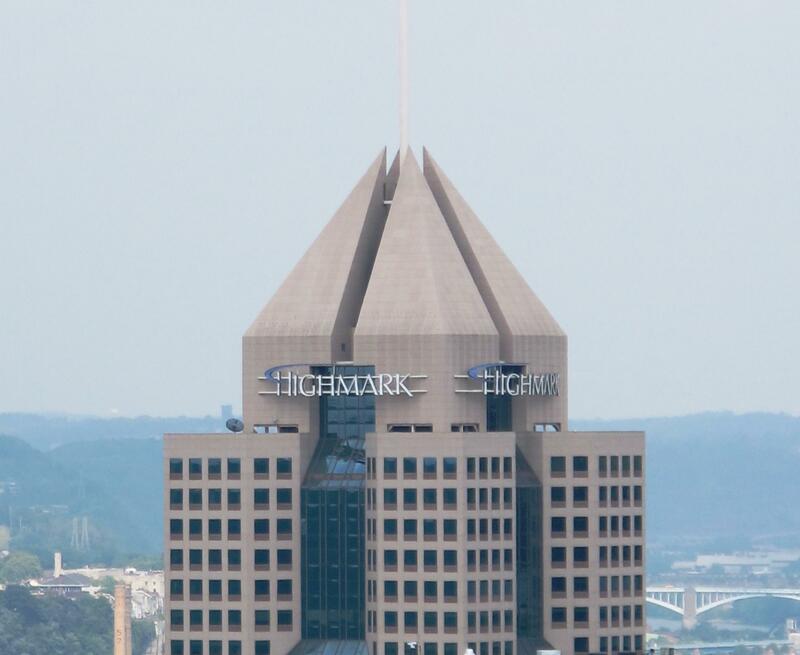 “We at Highmark would like to have a relationship with UPMC going forward, a longer-term relationship ... People should be able to chose,” Winkenwerder said. Winkenwerder said Highmark will have its network open to all insurers and hopes that the reverse would be true. "Highmark’s ownership of a provider network introduces more complicated insurance choices for employers and consumers. We urge Highmark to immediately join with UPMC in preparing its subscribers for the transition that will take place on Dec. 31, 2014, when the UPMC-Highmark contract expires. In the meantime, West Penn Allegheny Health System Chief Medical Officer Tony Farah said physician groups across the region have already been asking to move into the new system as soon as it is created. Farah said there are already more doctors interested in joining the new entity than it can reasonable accept. “Our new system is rapidly becoming a vibrant alternative to the system across town,” he said. Jack Isherwood, head of the board of the West Penn Allegheny Health System, said he thinks the new agreement will have a calming effect on the local economy. “It’s always difficult to do business in a situation of uncertainty and that often works its way into higher prices,” he said. More details of the makeup of a new board and specifics on senior level management will be released next month. The deal to merge Highmark and the West Penn Allegheny Health System has cleared another hurdle, but with a few warnings. The Pennsylvania Insurance Department has given approval to the transactional filing that would bring together the nonprofit organizations and create an "integrated delivery network."